When you hear the words “dining etiquette,” what images spring to mind? Talking with your mouth full? Drinking tea with a raised pinky? What about pulling out your cellphone in the middle of a business lunch? “Etiquette is simply appropriate behavior: appropriate specific to person, place, and purpose,” says Robert A. Shutt G’92, author of “Shine While You Dine” and an expert who has coached students and business people on manners and courtesy for nearly two decades. “Who we are with, where we are, and the purpose of our interactions all determine what is acceptable.” For example, we may speak, act, or dress differently depending on whether we’re with friends, our boss, or our parents or grandparents. Specific guidelines change over the years, due to social norms and technology (students used to wear suits and ties to class – and smoke pipes), but Shutt points out that etiquette is, and has historically been, based on three foundational concepts. Courtesy is an awareness of how your words, actions, and behavior affect those you’re with. Focus is your ability to concentrate on a single agenda: the agenda related to the group convened for the meeting. Shutt, who was featured on the CBS Evening News for his etiquette expertise, previously served as a training specialist in financial services; administrator and manager in education, retail, and hospitality; and professor in the SUNY system. He holds a M.S. in Education from Saint Rose, a B.S. in Business/HR Management from Excelsior College, and a B.A. in Business/Hospitality management from Michigan State University. Learn more about him at http://www.rasolutions.net. 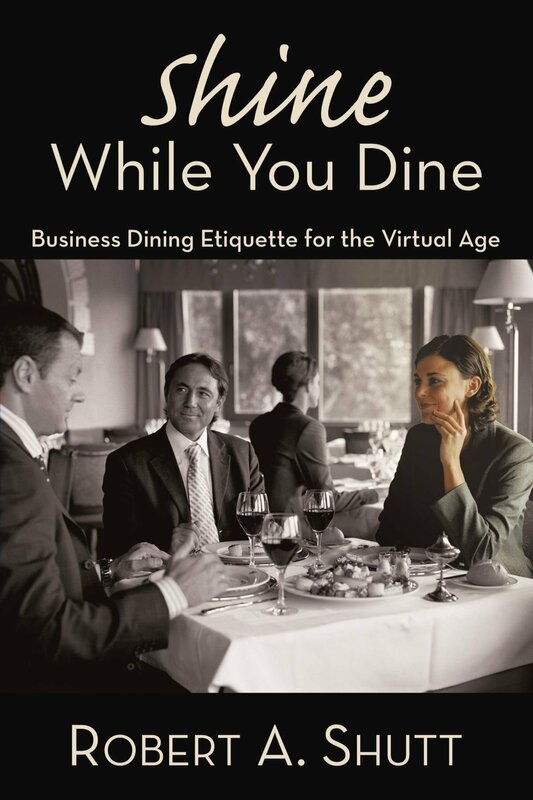 Shutt will discuss business etiquette and dining in a professional setting during a four-course meal at 5 p.m. April 10 in Saint Joseph Hall Auditorium at Saint Rose. Students should login in here to register for the event. Pre-registration is required.